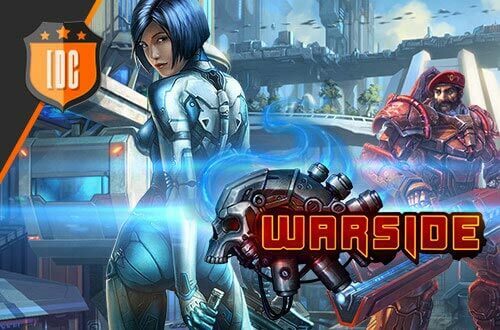 Warside is a Sci-Fi shooter with a classic 2D game mode and RPG elements. Create your own elite soldiers and fight with your Clan in exciting battles. The goal of this action-packed mulitplayer is to gain resources and power in the galaxy. Develop unique abilities and use them in amazing battles against other players. Finish off monster hordes to gain advantage over your enemies. You'll be able to fly over your enemies' heads, jump great distances or even climb up a wall to hide and wait for the best moment to attack. Use the game's RPG system to develop your equipment and level up, customizing your hero as you like. That aside, you'll have a big arsenal to your service, from assault rifles to futuristic launchers — and of course, a wide variety of armour. Many different game modes await you! Conquer control points in a space station full of caverns, gather all possible resources in the ruins of an Imperial City, finish off killer robot hords and treacherous bosses in a secret Lab... and much more! All this and much more awaits you in this exciting game! Get ready to conquer the Galaxy!